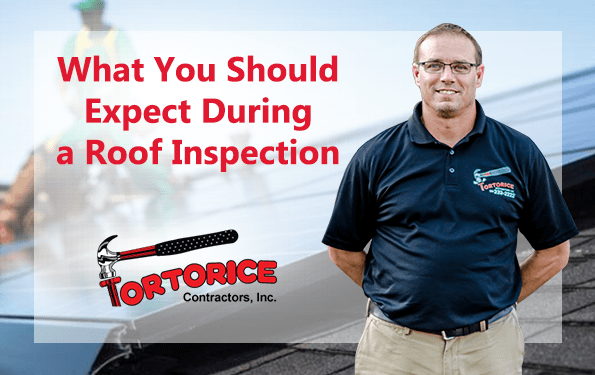 Haddonfield Roofing Contractor: What to Expect During a Roof Inspection - Tortorice Contractors Inc. If your roof is showing signs of neglect, it is probably time to have it inspected by a Haddonfield roofing contractor. Some obvious signs include harsh weather temperatures getting inside your house and higher energy bills. Generally speaking, repairing an old roof is better than replacing one because it is cheaper and more convenient. However, only a licensed roofer from Haddonfield can tell you whether you need a repair or replacement. Either way, you still need to have your roof inspected. Here are some things you can expect. A professional roofing company in Haddonfield will start by inspecting the inside of your house, particularly your attic. He or she will look for signs of damage like missing or inadequate insulation, seepage, mold, or rot. Other damage, like animal infestation, can also damage insulation which in turn can damage your roof. Expect your roofer to be very thorough when assessing the damage to your roof. In most states, roofs have insulation to prevent heat loss. Roofers can also recommend that you change the insulation if it is already degraded or to add more insulation if it is insufficient or if there is none. Any opening in the roof, which you can tell by streaks of light coming in from it, is also a sign of damage. Some roofers in Haddonfield will also conduct an exterior inspection. The inspector will check signs for damage like missing or loose shingles, bolts, caulk, moss, mold, and loose flashing. These all can be a sign of a deteriorating roof. An exterior inspection will also give the inspector a closer look of your roof which could help them decide if your roof can be repaired or needs to be replaced. An exterior inspection by a professional Haddonfield roofing company will also tell you the condition of your gutters and downspouts. These parts of the roof are also very important and often neglected. An exterior inspection will tell you if they need to be repaired or replaced. You should expect to be inconvenienced for a few hours at least. Not all Haddonfield roofing companies inspect the same way, and some of them are faster than the others. However, most of them will follow industry specific guidelines when inspecting your roof. Some of them will start with the interior before moving to the exterior while others will perform only one type of inspection. There are also some contractors who will bring equipment with them when checking your roof. Generally speaking, an inspection by a Haddonfield roofer should not take more than 2 hours. Repairs and replacements, on the other hand, can take longer depending on the type of job that they need to do and the extent of damage to the roof. A professional Haddonfield roofing company will provide you with a written estimate of the damage as well as their recommendation. You can expect to receive this a few days after the inspection. A detailed estimate should be able to tell you the type and amount of damage to your roof including the recommendation of the inspector as to whether you should replace or repair your roof. The Haddonfield roofing contractor should also tell you the type of material they will use as well as the cost of labor and materials. The time frame for completion of the whole process should also be included in the estimate. Getting an inspection is not just about having a solid roof over your head, it is also important if you’re planning to sell your house in the future. It is always better to get it inspected, repaired, or replaced before you put it up on the market. If you let the buyer do the inspection, he or she can deduct the cost of repairs to the roof or for a completely new roof to the final sale price of your house. Remember, before signing any contract with a professional roofing company in Haddonfield, you should understand everything in it. If you have any questions, the contractor should be able to answer them for you. A good roof does not only protect your family from the weather, but it also protects your house’s interior too. Getting it inspected can cause some inconvenience, but it is still better to let a professional roofer from Haddonfield conduct a thorough examination to see if you should get repairs or a replacement rather than suffer through interior damage.